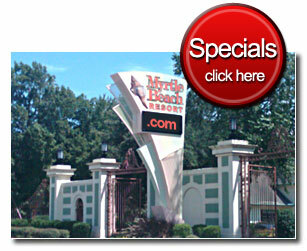 Welcome to the Myrtle Beach Resort Private Rental Showcase. 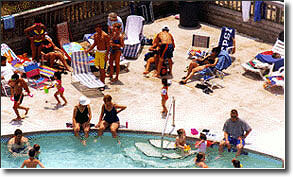 The Showcase offers you your choice of some of the finest privately owned rental condos on the beach. You can access our condo availability search facility from this page by clicking on RENTAL AVAILABILITIES. Or, view the entire list of condos by clicking on CONDO LISTINGS. Either way, you will be able to choose a condo to make this a fun and carefree vacation. Whether you are coming to the white sandy beaches of South Carolina for fun and sun in the summer, or to escape the winter doldrums of the north, we have a rental condo for you. When you use the Myrtle Beach Resort Vacation Showcase we	give you the opportunity to choose a condo with the features and amenities that you want. You can look at photos and a complete description of each condo so you can decide which one you like best. These units are usually in very good condition (because the owners also use them) and they have a more attractive rental rate than units offered by rental or travel agencies. Many of these condos also have package offers for on and off season rentals. Why settle for second best, when you can have the very best? Remember, when you use a rental or travel agent, you are usually assigned their first available unit or the one they want to rent to you. Be sure you read and understand your rental contract. Rates differ because of several variables such as location in the resort, condition of the condo, time of year, special package rates, and whether or not you are renting from a condo owner or you are renting from a travel or rental agent. No matter who you are renting from, be sure you fully understand any charges you may incur in addition to your basic	rental fee. Also, at least one person occupying the rental unit must be 23 years of age. No pets are allowed at the resort.